QuieTunes 660, A low cost AM/FM Radio Earmuff. Elvex new QuieTunes AM/FM model is our response to the markets requirement for a high quality, low cost model. QuieTunes 660 offers the following features: All components for QuieTunes 660 have been designed specifically for this model, and this has resulted in a contemporary and functional product. The electronics has been separated from the hearing protection cavities, in order to avoid the problems associated with moisture and sweat affecting the life span of the electronics. A sensitive radio offers FM and AM reception, so that you may listen to music, your favorite sports team or talk radio show. This model uses two AA alkaline batteries (included) and they are replaceable through an external battery compartment. A fresh set of batteries provides about 150 hours of operation. Just in case you forget to turn off your radio headset, we have assured that you do not come back to a dead unit, by incorporating an automatic four-hour shutoff. The sound generated by the speakers is limited to a safe 82 dB level with the use of a gain limiter. Independent testing established a Noise Reduction Rating of 22 dB. 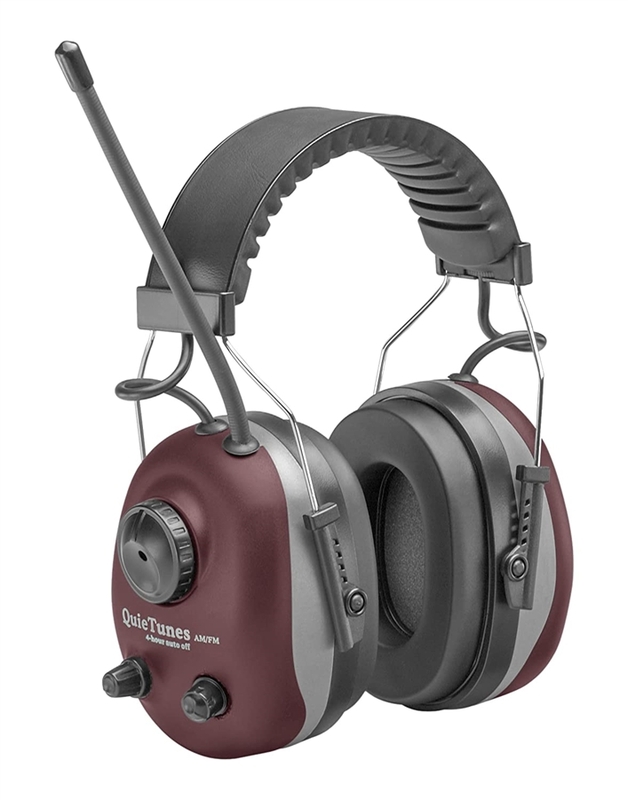 Com-660 is our least expensive AM/FM radio earmuff! New features: Improved tuning sensitivity and station hold (Phillips tuner replaces Toshiba) Improved sound quality (larger speakers) . Improved wiring and connectors. Input jack that allows connection of auxiliary devices, such as MP3 players, CD-players and communications radios.